My pottery is landscape based. Intrinsically, I create open forms that gently hold space; glazes break over my carved surfaces, referencing pooling, freezing, thawing and eroding. 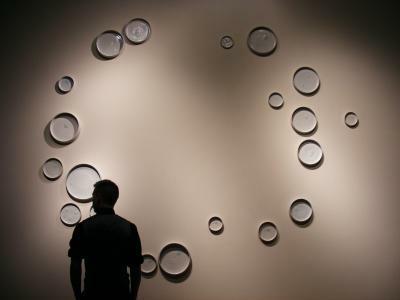 A cool palate has brief encounters with warmth as I generously expose the porcelain body. Simple, able and responsive my vessels are described as ‘serene’. Earning her BFA from Ohio University and MFA through the University of Nebraska-Lincoln (UNL), Amy has a studio in Lincoln, NE. 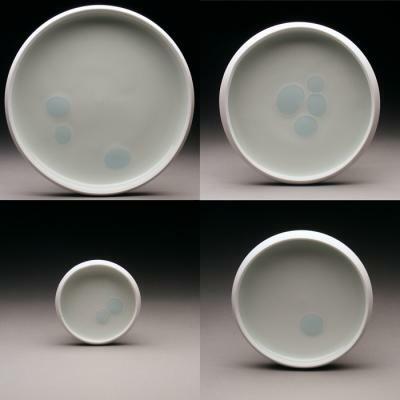 Smith exhibits her porcelain vessels locally at Modern Arts Midtown and nationally including "Strictly Functional Pottery National" in Lancaster, PA, "Yunomi Invitational" in Iowa City, IA and "La Mesa" in conjunction with the National Council on Education for the Ceramic Arts Annual Conference. 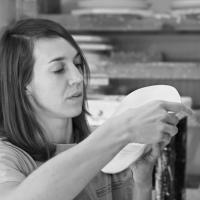 She teaches Adjunct at UNL as well as porcelain workshops.